NEMOA guarantees our conference will generate actionable, profit-boosting ideas that more than cover the cost of attending, or your next conference registration is FREE. Guaranteed. Please visit the Registration Desk onsite to register for the conference. The registration desk is located in the Grand Ballroom Foyer on the Concourse Level of the Westin Boston Waterfront Hotel. *To speed up the registration process onsite, PLEASE COMPLETE THIS FORM and bring it with you. Thank you! Please contact the NEMOA office with any questions about the conference. Thank you! * The conference fees below cover 3 days of sessions, events and meals. *Registration fees are PER PERSON. *Multiple Attendees: The “3rd + Attendee“ price is good for the 3rd, 4th, 5th, etc. attendee from the same member company. First two attendees must pay full price in order for the 3rd and subsequent attendees to be eligible for a discount. *Small Companies: The “3rd + Attendee” price is also valid for any registrant from a company with three or fewer employees. *EARLY BIRD DISCOUNTS - Save $200!! Register by Friday, February 24th to take advantage of lower registration pricing! Please consult the pricing chart above. *NEMOA MEMBER DISCOUNTS - Members save more! Member pricing is $300 LESS than Non-Member pricing! 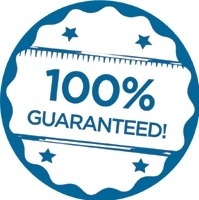 Any employee of a member company qualifies for the member rate. Not sure if your company is a member? Click here to see a list of current member companies. Join NEMOA now to take advantage of lower member rates! If your company is voted in as a member, you and your co-workers will pay the member rate to attend the conference. Please submit all membership application materials by Friday, February 17th for consideration by the Board. You can check your membership status by logging in to your online profile or by contacting the NEMOA office at 207-885-0090. Are you sending more than two attendees from the same company? You may be able to take advantage of additional discounted rates. Please refer to the "3rd + Attendee" category in the pricing chart above. First two attendees must pay full price in order for the third and subsequent attendees to be eligible for a discount. If you are registering more than two attendees, please choose a regular price ticket ("1-2 Attendees" price). Discounts (if applicable) will be applied automatically at checkout. Do you have three or fewer employees at your company? Discounts are available! Please consult the "3rd+ Attendees" category in the pricing chart above. A Discount Code is required to register at this special price. 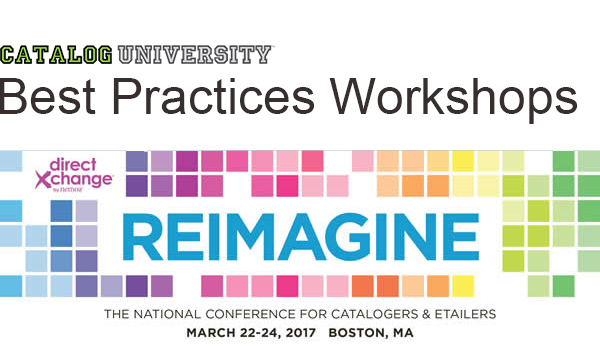 Please contact the NEMOA office to request your Discount Code (Tel: 207-885-0090 or 515-4907564; terri@nemoa.org or jo@nemoa.org). VT/NH Marketing Group Members can receive a 15% discount off of non-member registration prices. Please contact the NEMOA office for instructions. NEMOA member companies are eligible to submit a Rising Star Nomination Form to recognize a deserving employee with a free conference registration. Deadline to submit a Nomination Form is Friday, February 3rd. Please visit our Rising Star Scholarships page for details and form. Check out our Schedule of Events to learn more about the educational sessions, networking opportunities and fun events we have planned for the Spring Conference! Train your teams, and yourself. These live, hands-on workshops on Catalog Creative and Circulation Planning are both an amazing value and the best way to get training focused on your own catalog. Taught by industry experts Brent Niemuth, Sarah Fletcher, and Gina Valentino, these 3 hour interactive workshops will teach you what really works and why; AND you’ll take that knowledge and apply it to YOUR catalog. No messing around with “ACME Catalog” or “Widget X”. This amazing combination of sound theory and solid application lets you ask questions, and get expert input and insight into your own catalog. This is the perfect opportunity to reimagine, roll up your sleeves, dig deep, get actionable advice, find missed opportunities, and develop real strategies that will drive sales. You can attend just the workshops*, or add one to your directXchange conference package and SAVE $30! *Includes Workshop 8:30am-12:00pm (choose one to attend) plus lunch, networking and first general session of NEMOA’s directXchange conference with Sheryl Clark of Boston Proper.